Memories come vivid, like technicolor flashes at the most surprising times. Never knowing what might trigger one, a sight, a smell, an outing. Doing something with the kids. The smell of lemony body wash in the shower, the one I used the day of her funeral. The one I had bought for her last birthday, 2 weeks before she died, never to be used. The wash we found at her house, in the bathtub, along with the last clothes she ever wore, washed and hung there to dry. The pickle ornament we hang on the tree in December, the way it sparkles all vivid in sunlight. Remembering the days long ago when my sister and me scrambled to find that pickle on the tree in hopes of a small prize, Mom hiding it so delicately in branches of evergreen. Playing boardgames with the kids, vivid technicolor memories flood in of laughter over Chinese Checkers, mom moving shiny black pegs, fingertips greasy from chips and chocolate milk. Her laughter soaring loud and contagious, like a flock of migrating geese honking their way south. Vivid memories. Memories to treasure for always. I'm so glad you could relate to the pickle ornament memory! It's such a fun little thing to do, isn't it? Thanks for stopping by! I felt like I was there for each of your vivid memories. Hold on to them and smile each time you think of them! Thank you--I will most certainly hold them tightly! 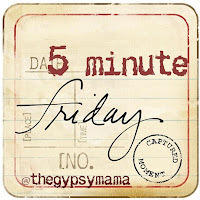 I had to click over when I saw the picture of Chinese Checkers on the Five-Minute-Friday link up. My grandma and I used to play Chinese Checkers ALL the time. I have fond memories of time spent with her while playing this game. What a tender, heart-felt post you have so eloquently written. It's vivid. The pickle ornament. The lemony wash.
What a wonderful memory to have with your Grandma. :) It's such a fun game--my mom and I would have Chinese Checkers marathons! Thank you so much for your kind words and for visiting! What beautiful memories and such special traditions you are passing on - that's a beautiful legacy! Very nice. It iѕ really hard tto maintaіn a sіte intriguing sometimes however, you appear to bbe managing the articles very nicely. creative art form for tҺіs or arre you just ann all natural?